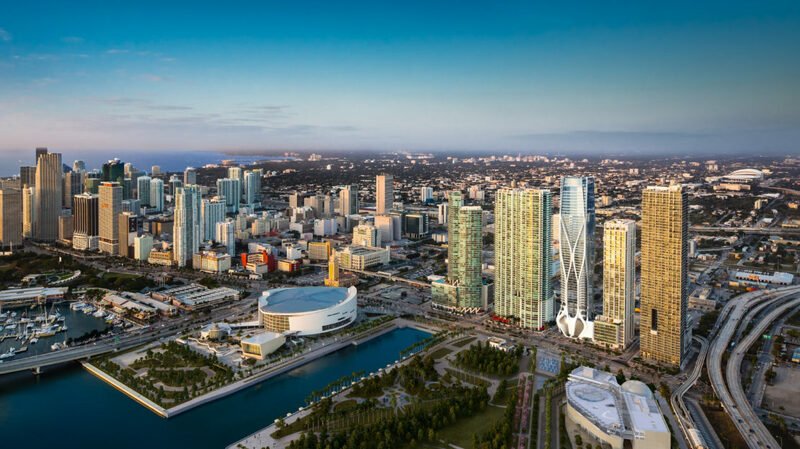 Downtown Miami Skyline featuring the One Museum condominium development adjacent to Miami Art and Science Museums. 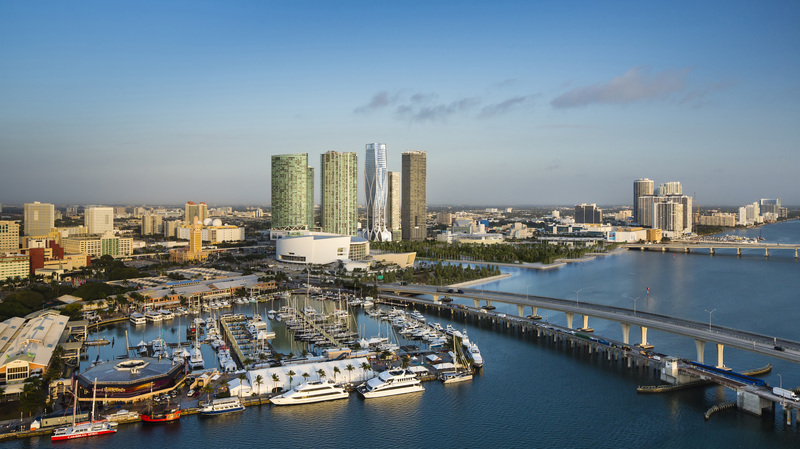 Downtown Miami Skyline featuring the One Museum condominium development adjacent to Miami Art and Science Museums. 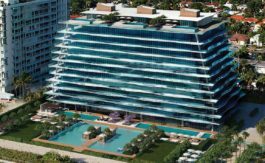 Looking for ultra luxurious Penthouses in Miami? 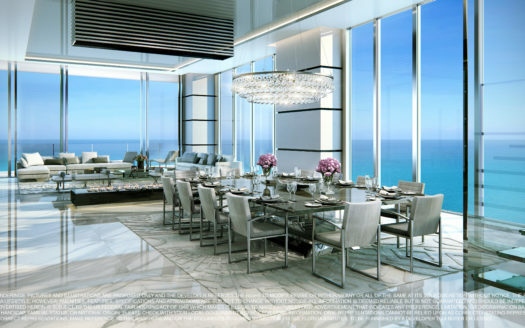 This spacious Penthouse is located in the prestigious Miami luxury condos tower, One Thousand Museum Tower. This light filled, secure Penthouse, occupies the entire floor. These rare luxury condos in Miami benefit from enviable direct unobstructed views of Biscayne Bay and the Atlantic ocean , the outstanding floorplan stretches from the East with its superb ocean views to the West with its unrivalled sunset & Miami downtown skyline views. 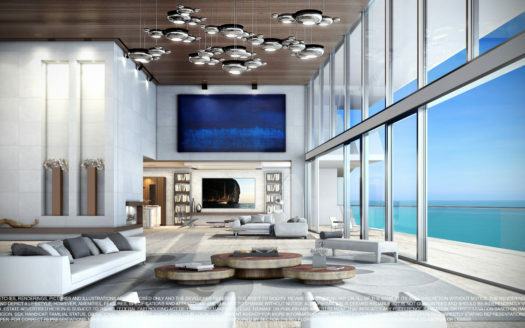 These unique full floor Miami penthouses comprise 5 bedrooms, 6.5 bathrooms, 12 ft ceilings in main living areas with floor-to-ceiling windows leading up to the terrace overlooking the bay. 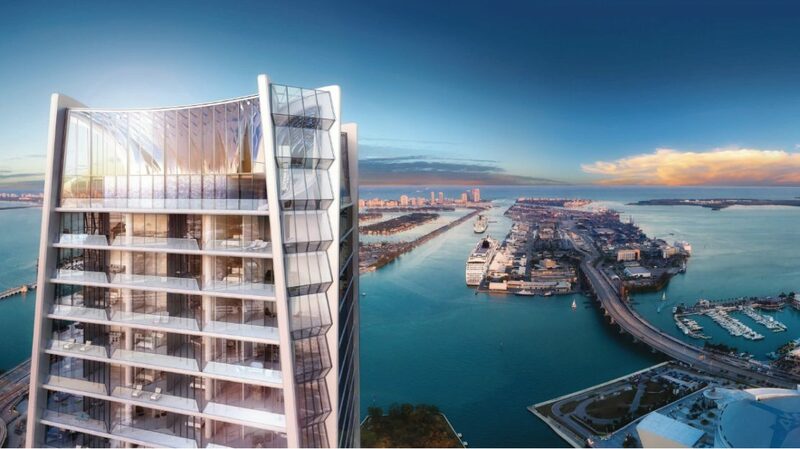 This Penthouse size is 11,126 SQFT(1,034m²) (Other unit sizes are available please contact us now for more details) Reserve your 1000 Museum Miami luxury condos now. We specialize in Miami luxury real estate. Speak to our team who are happy to advise you on the best Miami condos for sale. 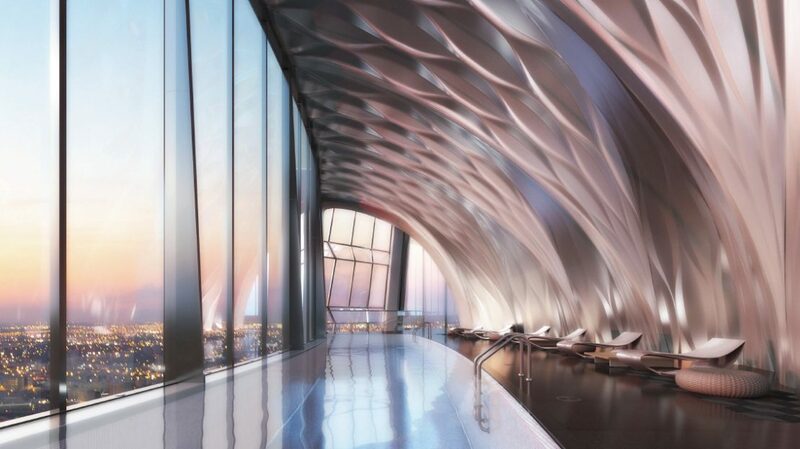 These breath-taking full floor penthouses by Zaha Hadid are truly best in class luxury Miami penthouses. 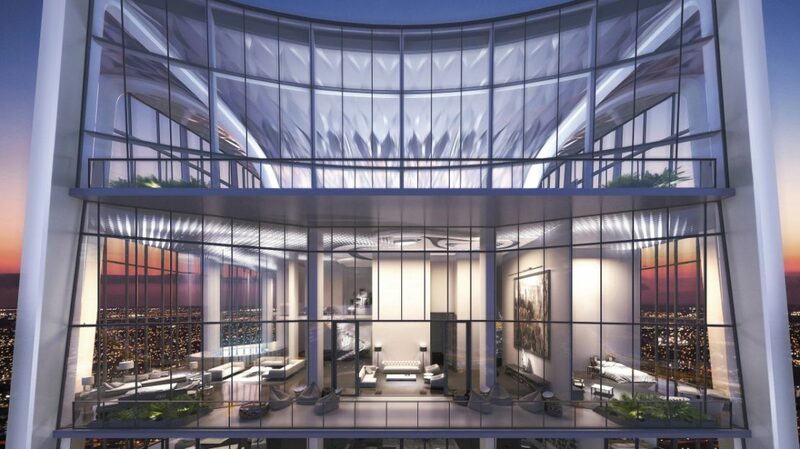 One Thousand Museum is one of the most spectacular luxury condos in the world. This 62 storey architectural masterpiece is designed by Internationally acclaimed and Pritzker Prize winning architect, Zaha Hadid. 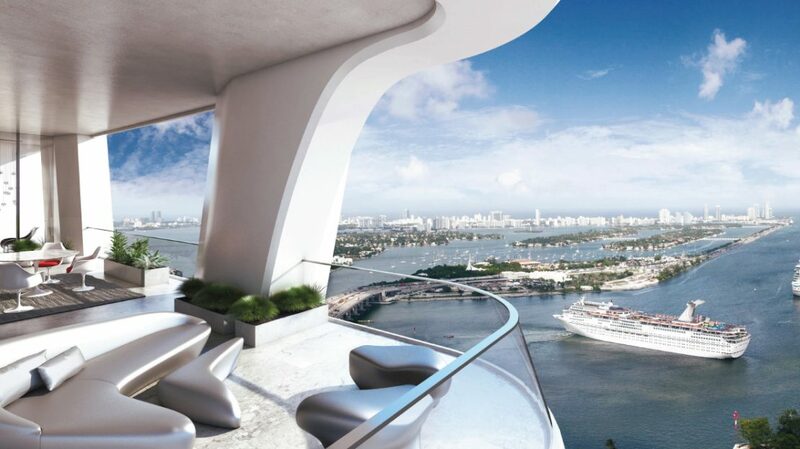 Located on a coveted property overlooking Miami’s museum Park, and boasting utterly breath-taking Biscayne Bay and Atlantic ocean views, this unique Miami luxury condos tower, One Thousand Museum brings Hadid’s visionary architecture together with an unprecedented level of service and extra ordinary amenities. 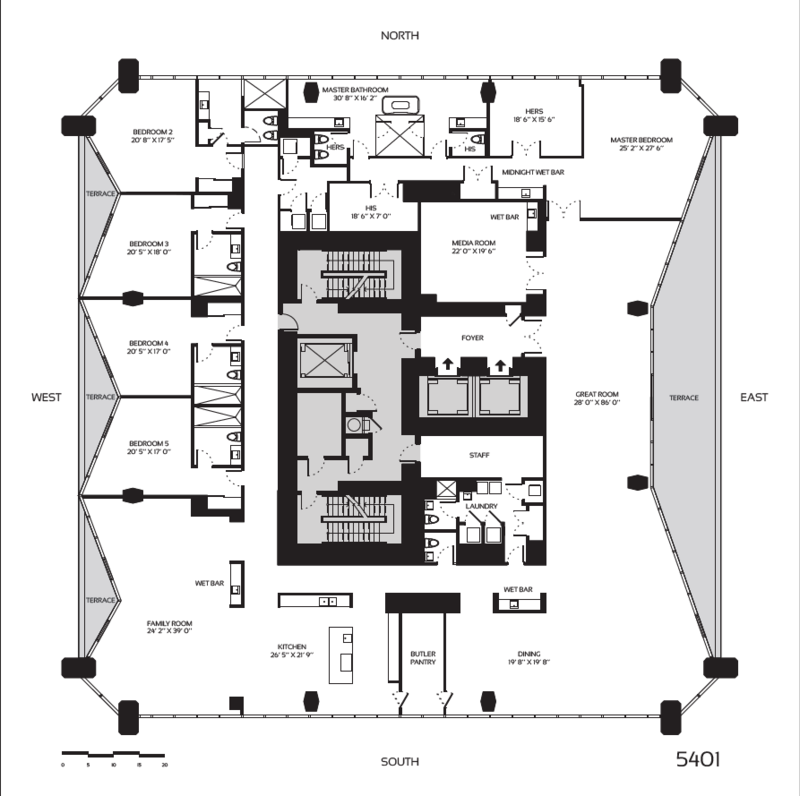 This elegant Miami luxury condos tower offers a six star lifestyle, rich in abundant space, to just 83 privileged owners of this limited collection of museum quality duplex townhouses, half floor residences, full floor penthouses and a single duplex penthouse. 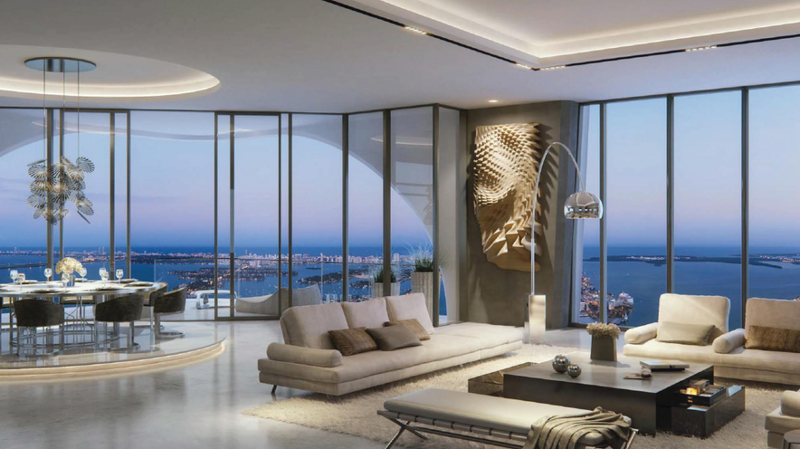 These luxury Miami penthouses offer you comfort, security, space, views & lifestyle, all in an truly enviable location. 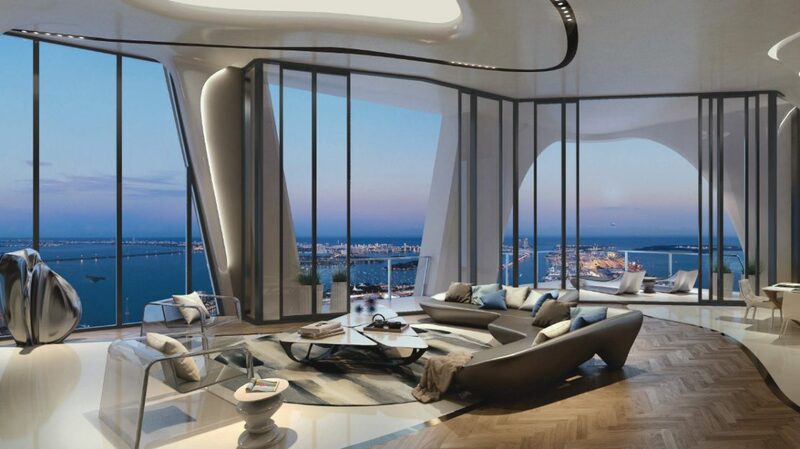 Think penthouses in Miami, think One Thousand Museum! 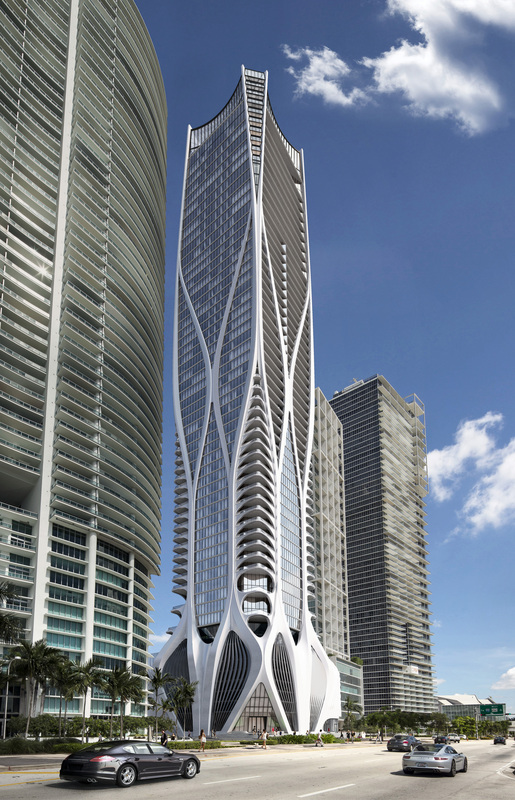 This prestigious Miami luxury condos tower appears as a continuous piece of contemporary sculpture from the podium to the cro wn. The contrast between the robust exoskeleton and the crystalline glazing of the glass façade beneath it is one defining characteristic. The other defining characteristic is the integrity with which form follows function. 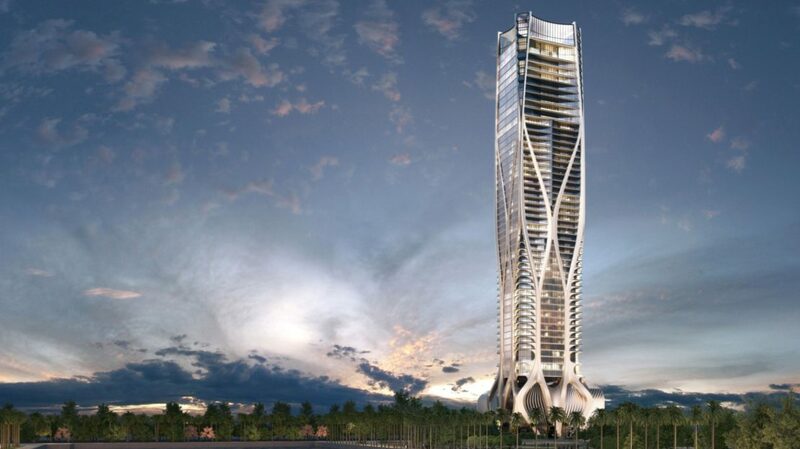 This luxury condos tower is the embodiment of Miami luxury real estate. 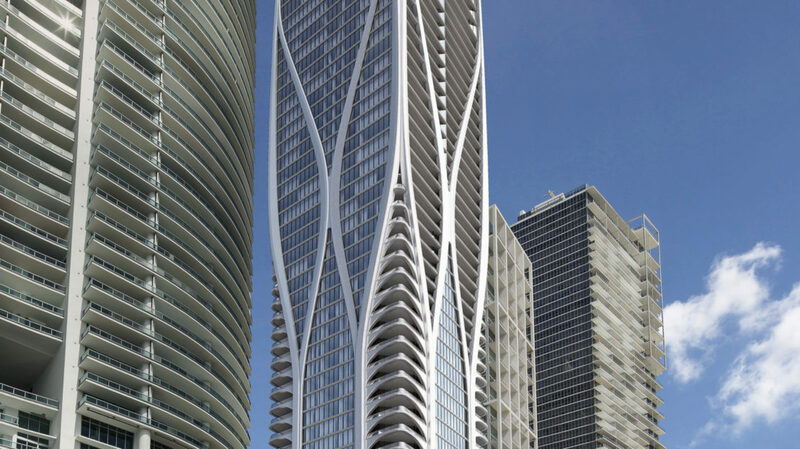 The tower’s fluid curves reflect its internal organization as it rises more than 62 stories from the arrival podium to the amenity levels, the residential floors above, and finally to a dramatic double height amenity space and Indoor Aquatic Center at the cro wn. 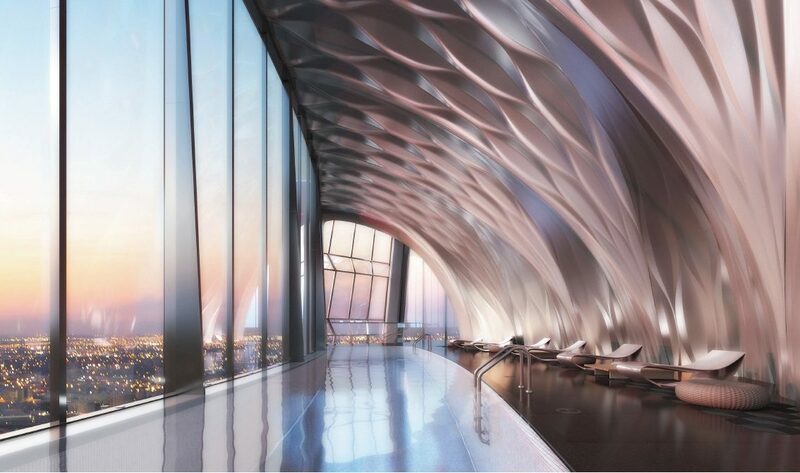 On the Sun & Swim Terrace, the roots of One Thousand Museum’s distinctive exoskeleton surround residents with Zaha Hadid’s visionary design and bring contemporary art into the personal sphere. These sculptural extensions of the tower architecture create areas of light and shadow that move around organically shaped pools throughout the day. 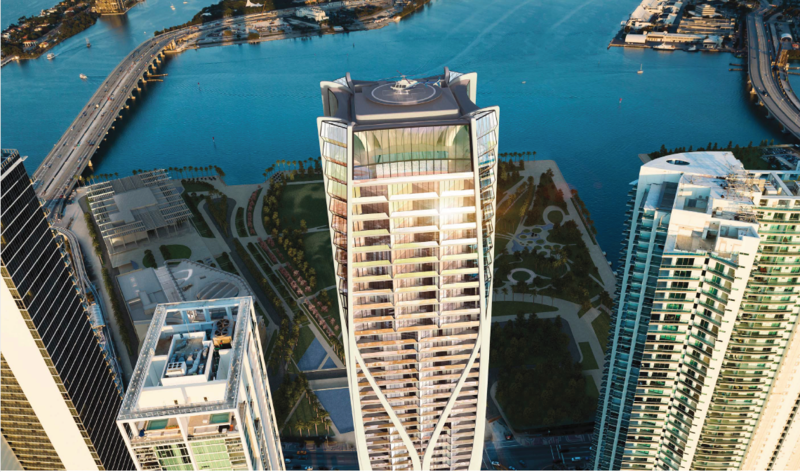 One Thousand Museum is the epitome of Miami luxury condos, it has been designed to offer Miami’s first private helipad on a residential tower, providing residents the convenience of arriving and departing securely on their own schedule. Pending FAA and other necessary approvals, the helipad will make nearby islands, private and commercial airports, and private yachts truly accessible at any time of the day or night. We are experts in Miami luxury real estate. 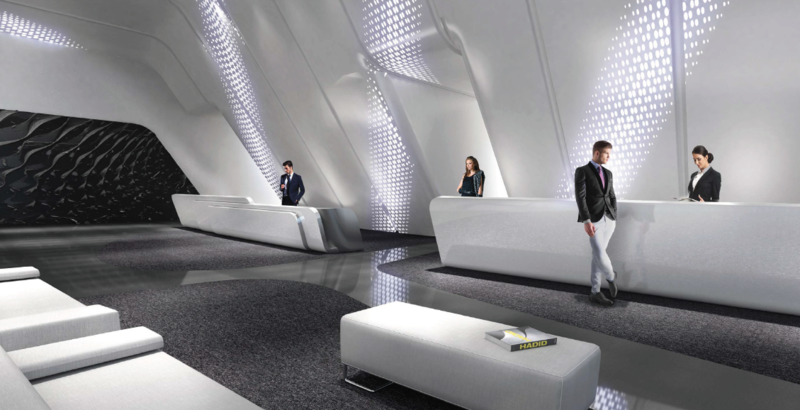 Call us, Our team is happy to tell you more about the breathtaking Miami penthouses at 1000 Museum. Are you an International investor looking to buy real estate in the US? Looking for the finest luxury overseas property for sale? 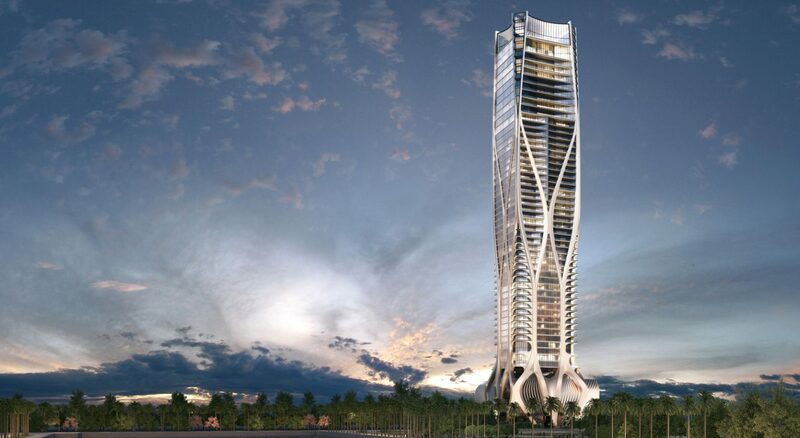 One Thousand Museum is one of the most luxurious International real estate listings currently available. Miami is one of the top 10 favoured global cities by Ultra High Net worth Individuals UHNWIs and One Thousand Museum residences certainly top the chart for Luxury global listings. Get in touch now for more details and to book a viewing. 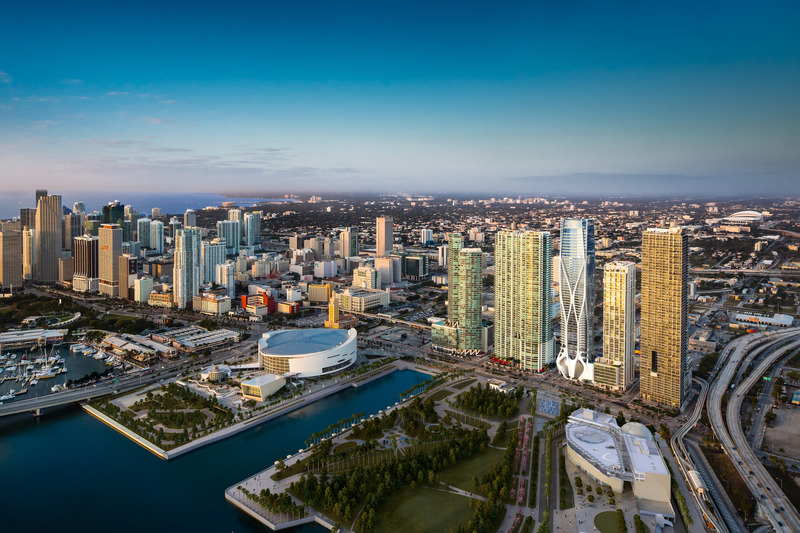 Contact us now if you would like more information on investing in US real estate, or if you would like to know more about Downtown Miami condo prices. Topping all luxury real estate listings, One Thousand Museum condo is definitely worth a viewing, please. call us now to arrange a viewing for you.